For nearly 50 years, witeg Labortechnik has produced more than 30000 products, systems and services. The witeg name is today one of the most familiar and respected in nearly 100 countries around the world. Furthermore witeg utilizes the latest computer technology ind the design of products to ensure the best performance and utmost quality. 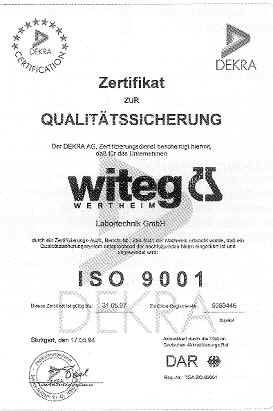 The witeg-quality certified according to DIN ISO 9001 already in May 1994 guaranties confidence and reliability on the way to year 2000 with new standards of innocation especially in the liquid handling programme. We strive to maintain a strong and realiable partnership with our customers. We want our customers to be satisfied with our products, service, and support. In order to meet our goals, we will always have an open ear for questions or problems that many occur. That ist what counts! 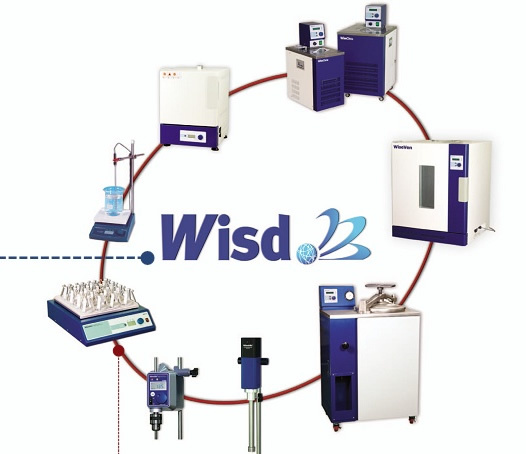 witeg develops, manufatures and supplies a wide range of laboratory products, made from glass and plastic, as well as Liquid Handling instruments of the highest precision. Our products are designed to make the job of our customer easier, faster and safe. With witeg volumetric measuring instruments - dependable results will only be possible, if the volumetric instruments employed for the sample preparation are equally accurate and realiable. It is our mission to continuously translate our company´s philosophy into reality, primarily quality to the benefit of our Customers. We are always investing in our manufacturing and development processes in order to reach the optimum level of quality. Our business partners can be confident in the reliability at our product lines and a long term relationship. In order to offer high value instruments, in a period of tough international competition, is it important to rely on rational quality-ensuring economical processes and this will allow us to remain competition on price. witeg´s range of products covers a vast field. The company manufactures glassware for medical, scientific and research work, in particular liquid handling products and volumetric glassware. 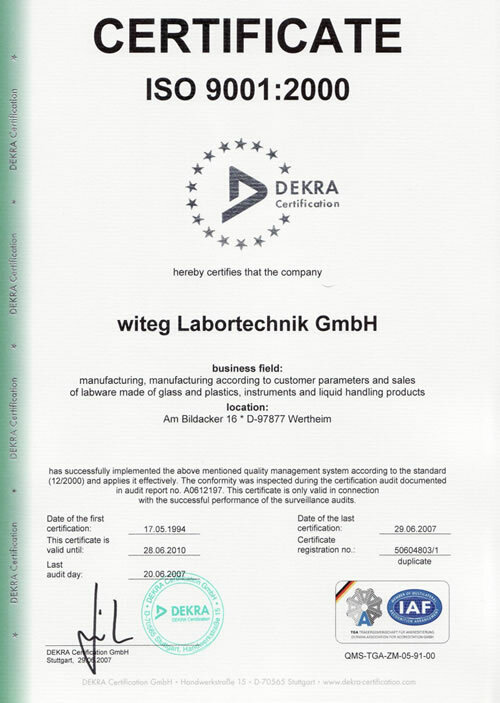 These goods are produced in strict compliance with EN ISO 9001 requirements to which witeg is accredited, in addition to the German mark of 'Conformity Certification' essentially to GLP and GMP verifications. witeg also supplies a wide range of equipment, instrumentation and basic lab consumables related to routine medical laboratory work. This knowledge and the experience gained over many years qualifies us for the international lab equipment tender business which often calls for package supplies from just one source. The project division of witeg is handling complete medical and pharmaceutical production systems, design and installation, lines for I.V. solutions / medicines / vaccines, completed by know-how transfer and license agreements tailor-made to individual requirements. witeg offers assistance on validation, selection of personnel and training and also for biotechnology processes, quality management and plant updating.